The airtime allotment for MBC's new weekend drama, "The Flower in Prison" has been delayed. An associate with MBC told TV Report on December 4th, "Drama "The Flower in Prison" was originally planned to begin right after 'My Daughter, Geum Sa-Wol' completes next year. However it will be a bit delayed". The associate also said, "Once 'My Daughter, Geum Sa-Wol' has finished, another drama will be aired in the interim" and "The airtime allotment has been delayed for "The Flower in Prison" due to some issues related to completion of the filming set". "The Flower in Prison", which was originally set to go on air in March next year will begin in May instead due to the internal issue. PD Lee Byeong-hoon and writer Choi Wan-gyoo are to meet again in 15 years since "Heo Jun", 1999 and 'Sangdo', 2001, to produce "The Flower in Prison". This new drama is another new success story of a woman following after the thread of "Dae Jang Geum" and 'Dong Yi'. The new weekend drama, "The Flower in Prison" tells the story about Ok-nyeo, who was born in prison and helps people unfairly accused, using Waeji-bu, the private litigation system in Joseon. 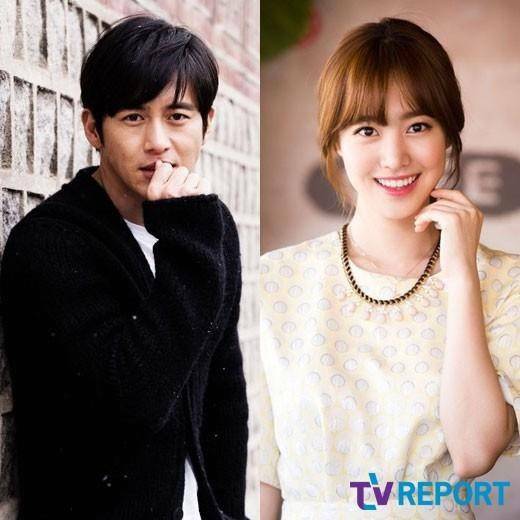 Go Soo and Jin Se-yeon have been cast for the leading roles in "The Flower in Prison". "MBC clarifies rumor on airtime planning of 'The Flower in Prison'"